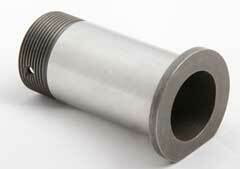 We can handle all your Machining, Engineering & Welding needs. 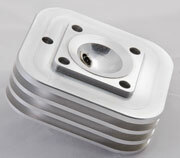 At Mach Machine, Inc. we pride ourselves in providing first rate machined parts. To achieve first rate quality inspection and documentation are paramount. Inspection takes place from the time material arrive at our facility, certifying it meets the requirements. During preproduction, first piece inspection certification is conducted prior to the job being released for production. During production, in-process and final inspections of last piece are performed. This enables us to certify that from start to finish product conformance is met. 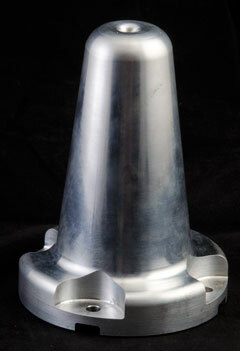 Mach Machines CNC capabilities can produce parts from one offs to full production level quantities. Our machining and turning centers have the ability to run lights out, allowing us to complete complex long run parts 24/7. We pride ourselves in providing our customers with the highest level of quality possible at aggressive pricing and short lead times. 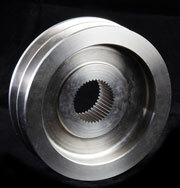 Mach Machine’s in house mechanical engineering capabilities are a truly invaluable resource for our customers. We work as a contract engineering firm for customers that need components, assemblies, test devices etc. designed and built. We also provide our customers with complimentary value engineering of their existing mechanical designs with the goal of pricing reduction through ease of manufacturing. Mach Machine offers its customers value added services such as parts assembly, kitting, part number stamping and engraving and part warehousing.